Only female Horse Flies are blood suckers. The male Horse Fly do not bite. The male can be identified by the structure of the eyes. The two compound eyes of the male Horse Fly has no space between them while the the eyes of the female have a separation. 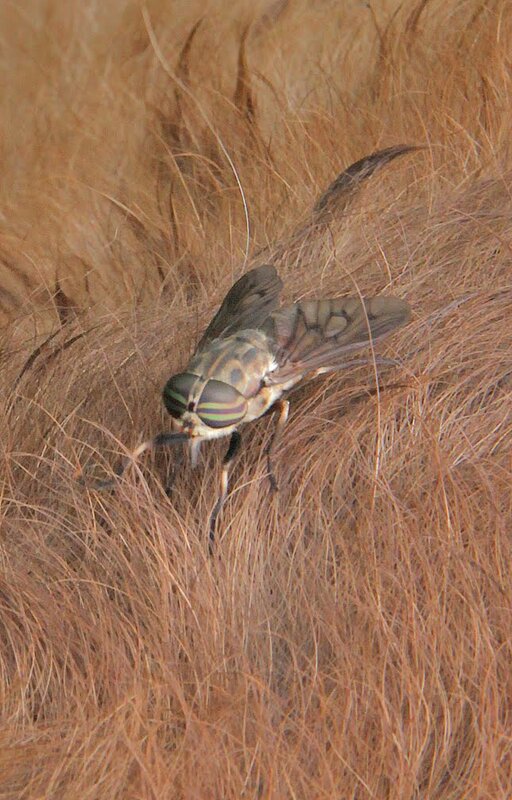 This is a female Horse Fly. This Horse Fly is looking for lunch on Ranger.